The silver and black may have held back a bit, but it looks as if Al Davis is back to making some of his normal big moves. In the late afternoon hours on Monday the Oakland Raiders agreed to a five-year, $48 million contract with linebacker Kamerion Wimbley. Prior to consenting to the long term deal, Wimbley was set to play for $11.3 million franchise tag tender. Now he couldn’t be happier to rejoin the Raiders. Wimbley will be guaranteed $29 million in the deal, while the Raiders are able to make some room to be under the salary cap. 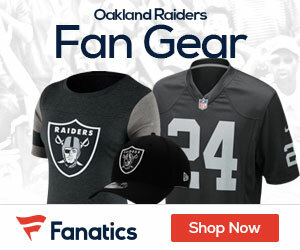 Hopefully this signing open’s up additional goods to happen to the other top free agents the Raiders want back like tight-end Zach Miller and restricted free agent running-back Michael Bush. It’s important after losing Nnadmi Asomugha and Robert Gallery to be on top of it and lockup the rest of their key free agents. Knowing Al Davis there is lots more to come in the next few days. Wimbley was selected 13th overall by the Cleveland Browns in the 2006 NFL Draft. Last season in Oakland he was a sack machine from the linebacker position he had nine total sacks with 58 tackles. In his five year career in the NFL with the Browns and Oakland he 306 tackles, 35.5 sacks. The Raiders hope he continues to perform on top of his this coming season. He will be playing along a linebacker core that consist of last year’s rookie Ronaldo McClain and four year player Quinton Groves. Raiders get their veteran on the linebacker core back in silver and black, a wise move by the old man to help the defense stay on track. Wimbley is a versatile linebacker able to get to the passer and stop the run. He has to the ability to set an example to the younger linebacker’s on the field and become a leader when necessary.